AMAA is going on its 15th year of providing the best After-School Program in Orange County. Parents and teachers absolutely love our program. 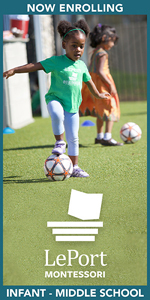 We provide a safe, structured, & fun environment, unlike any other after-school program. We can pick up your child from school, take them to our studio where they work on their homework and practice their martial arts. We offer before and after school programs for children K-6th grade on elementary school campuses. Offerings include Homework Academies, Clubs, 30Fit, Open Recreation, and Nutritious Snacks. Each center provides a unique program that is designed to promote active learning which allows your child to grow into their best selves. Engaging your child and enriching both their personal and educational growth is at the heart of CDI/CDC’s mission. Your day doesn't end when the school bell rings. We can find your family the best after school nanny to keep your family strong! At College Nannies & Tutors we can make your child's busy schedule look easy. We pick up your kids from school, soccer practice, prepare snack and help out with their homework before mom & dad get home. Our goal is to Build Stronger Families by placing role models with your children. We also have full time, summer and on call nannies for your family. All of our nannies are employees that go through a thorough background check before working for us. Providing a Safe Environment for Children to Learn and Have Fun. Marina View Preschool opened it's doors for business April 1996, offering programs for children ages 12 months through Kindergarten, between the hours of 7:00 a.m. - 6:00 p.m., Monday through Friday. Kids Club is a ministry of Mission Viejo Christian Church offering quality before and after school care. This is a licensed facility offering program hours from 7:00 AM to 6:15 PM, Monday through Friday. Kids Club also offers safe and reliable transportation to and from local community schools during the school year. Their program has a wide variety of on and off site enrichment activities where your child will have fun, learn and be physically active in a supportive Christian environment! Are you looking for a safe, fun-filled environment for your child after school? If so, then the YMCA is the place for you! Through the Y’s Afterschool program, your child will get to experience the curriculum through a variety of subject areas, hands-on activities, clubs, service learning, and enrichment centers. Our program is designed based upon the individual needs of the children, and encourages them to explore their talents, interests, and abilities in a safe and supportive setting! · And time to have fun with friends! Join us today and take advantage of our low year-round and part-time rates! Financial Assistance is available to those who qualify. Acting Academy for Kids has emerged as a leader in the local performing arts community for youth. Now with three locations, AA4K has expanded to meet growing demand, but has never lost its personal touch that makes every show, every relationship, feel like family. Now one of Orange County's leading youth establishments for after school activities, AA4K offers TV, film, and theatre acting classes, professionally-crafted musical theatre showcases, Spring Break and Summer performing arts camps, and private lessons in piano, vocal training and acting. Serving children ages 3-12 and teens ages 13-18. It's time to watch your star shine! Youth classes in three age group including Creative Dramatics, Improvisation, Music & Movement, Acting Essentials and more. Chance Theater strives to build community by expanding the child’s vision beyond their own experience. Partnered with a strong sense of play and a safe, non-judgmental atmosphere will be an advanced acting/performance technique designed to arm students with a strong foundation in any professional setting. Students of all ages learn how to draw and paint beautifully using our proven, easy to learn, step-by-step method. Receive personalized, one-on-one instruction from highly trained, caring instructors. Call for a Free Introductory Lesson - 18 studios - including Laguna Niguel, Irvine, RSM and Anaheim Hills. Armenta Learning Academy offers many different programs available to add extra depth to your child's education. From extracurricular classes to job skills workshops, they offer a variety of ways to keep your child learning and growing even during the after school hours. 50% Off First Session for New Students! Offering fun and educational enrichment programs of Chess and Engineering with LEGO® after school classes! Since 2002, Brain Builders has served numerous schools in Orange County while keeping learning exciting and interesting for your kids. Afterschool programs include 2D Game Design, Computer Animation, Java Programming, Digital Arts with Photoshop and Modding Minecraft with Java Coding. CodeREV after school programs are now in South Irvine, right next to the Irvine Spectrum! Our students learn coding, game-making, Unreal in Virtual Reality to modding their favorite game, Minecraft, using Java code, to Engineering concepts with Minecraft. Don't miss out on the fun and educational classes that begin September 6, and prepare your child for the future! Fusion Academy offers personalized, one-to-one learning in a full-time alternative school for students in grades 6-12. Their after school programs include after-school tutoring and after-school enrichment programs which offer students the opportunity to "discover themselves" through studio and performing arts, music, film, and photography. Dream it, build it, wreck it, repeat in LEGO-inspired engineering after-school enrichment! Your kid will engineer interesting projects, engage in critical thinking, work collaboratively and learn STEM concepts through playing with LEGO. Kids can choose from different themes like Star Wars, Minecraft, Harry Potter, Girl Power, Robotics and Stop Motion. Each Play-Well class includes over 20,000 LEGO pieces to jump-start your child's imagination! Your child will travel into their favorite worlds where they will build like never before! Ages 5 - 12. Many locations in Orange County. Prep Stars teaches a Wednesday chess class for beginner and intermediate players. Children will learn the basic moves, opening and mid-game strategies, and the all-important end-game. Students will also learn about the history of chess, and study famous players and matches. Players will become familiar with chess terminology and notation. Students will play matches against each other, and experience playing against chess computers. All chess instructors have above a 1900 chess rating. Prep Stars chess has open enrollment, but spots are limited. Parents must register through Irvine Chinese School please call (949) 559-6868, extension "572" and speak to Tracy to enroll. The classes are in room 202 from 2:15pm-3:15pm on the second floor. QD Learning provides a project-based after-school program that includes homework support, cross-curriculum project, structured play and independent reading time. We also offer enrichment classes such as Public Speaking/Debate/Leadership, Chinese, Critical Reading/Writing, Programming, Piano and Violin. Call 866-669-9228 to schedule a private tour today. AAA Sports Club has multiple choices for after school and summer sports/activities. Choose from basketball, soccer, volleyball, chess, swimming, and dance classes. Their top coaching staff is also available for private and small group training (arrange over the phone). Click the links here to learn more. Welcome to our comfortable and fun, family-oriented stables. We offer programs and lessons for all levels and ages on our full range of sweet ponies and schooled horses. Progress quickly with our skillful and kind instructors. Learn the aspects of horse care and management as you develop skill and confidence in the saddle. Serving youth athletes, TEAM 13 is designed to take players to the next level by developing self confidence and emphasizing character development. The programs unique combination of skills, fundamental development combined with speed, agility & quickness makes it the most complete training program operating in Orange County. Lessons are designed from beginners (age 6), held in Irvine and will be given from Collegiate athletes. Please contact 949-500-1328 for more information and schedule your free evaluation.